She is also on the Editorial Board of the Journal of Database Marketing and Marketing Strategy Management and Industrial Marketing Management. She co-authored the third edition of the Cengage textbooks Internet Marketing: Integrating Online and Offline Strategies with Mary Lou Roberts, as well as the second edition of Social Media Marketing: A Strategic Approach. Her solo-authored book, Digital Marketing Management: A Handbook for the Current (or Future) CEO, was recently published by Business Expert Press. Prof. Zahay has had her own consulting firm since 1993. She functions as a trusted advisor to Presidents, marketing executives, and company owners helping them to define their strategy, identify, and reach their best customers, often using data-driven technology applications. Some past projects include creating website content in the form of whitepapers and search optimized copy, statistical analysis of research results and providing insight into the firm's overall digital marketing strategy. 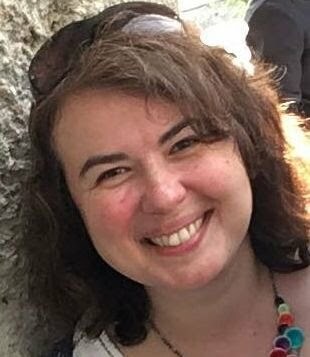 Dr. Corina Constantinescu is Reader in Mathematics and Director of the Institute for Financial and Actuarial Mathematics, in the Mathematical Sciences department of the University of Liverpool. She has recently coordinated a large European grant under the Marie Curie framework, on Risk Analysis, Ruin and Extremes (RARE), that connected 12 higher education institutions and over 60 researchers from all over the world working on extreme events and their applications to insurance modelling. Prior to being an academic, she worked as an actuary and led the life insurance department of one of the first private Romanian insurance companies. Her academic career spans the US, Austria, France, and Switzerland and she often travels to Europe, India, China, Australia and Japan on research visits or conference meetings. Given her practical perspective, many of her papers are published in actuarial journals, however she also publishes in applied probability journals. She serves as associate editor in a number of actuarial journals and is the eBriefs editor for Bernoulli Society for Mathematical Statistics and Probability. 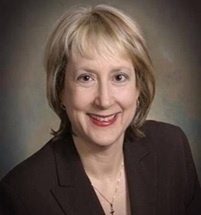 Her expertise is in analytical methods for deriving exact or asymptotic results for ruin probabilities, with light or heavy-tailed assumptions in complex insurance risk models. A more recent research interest is in correctly pricing car insurance in European countries in which the gender considerations have been removed from the underwriting process. As an assistant dean Jacobus Boers is tasked to define and execute a strategic vision for the college’s portfolio of international programs including international experiences, study abroad, exchange programs, and the experience international students have while at the Robinson College of Business. He is also the director of the Global Partners MBA program. In teaching, Boers shares practical experience he gained while conducting business on five continents. Through extensive travel and expatriate assignments, he has worked in different cultural, economic, political and legal environments. He has developed a systematic approach for establishing and developing strong relationships of trust with customers, clients, associates, and partners in diverse cultures, at times under difficult circumstances. Over the years, he has supported the international growth and success of organizations both as a member of the management team and as a consultant. Boers has directed the planning and implementation of large international projects with responsibilities for technical compliance, financing, procurement, logistics, facilities commissioning and testing. He has been responsible for worldwide customer service support, including directing post-sales technical support. He has also has worked with companies providing goods and services procured under Multilateral Development Bank lending facilities, bringing technology to the developing world for application in education, healthcare, civil administration, and research. Prof.Mark Soliman specializes in financial reporting information, trading strategies, capital markets, debt ratings voluntarily disclosure, especially non-GAAP earnings. He has held positions at The Stanford Graduate School of Business and the Foster School at the University of Washington where he was the recipient of numerous teaching awards. Outside of academia, he was vice president of accounting-based research at Citadel Investment Group in Chicago and consulted extensively for Renaissance Technologies, helping them to develop trading strategies for their hedge fund. Professor Soliman has published extensively in the top journals including the Journal of Accounting and Economics, the Journal of Accounting Research, The Accounting Review, The Review of Accounting Studies, Management Science and Contemporary Accounting Research. He is the recipient of numerous fellowships and awards, including the Notable Contribution to the Accounting Literature in 2009 along with the Best Paper award at several conferences. He is on the editorial board of the Journal of Accounting Research, the Accounting Review and the Review of Accounting Studies. 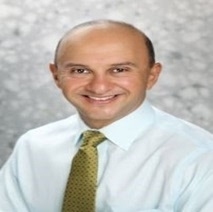 Professor Soliman is also a CPA in the state of California and Washington (inactive). He is also a triathlete recently completing the Ironman distance in Coeur D’Alene in Idaho. His publications include more than 40 articles in peer-reviewed journals, 4 guest-editorials, 1 monograph, 6 edited books, 30 book chapters and working papers in more than 90 international conference proceedings. Pavlos is ranked as one of the top authors worldwide in the international entrepreneurship field by the Web of Science (ranked by the number of record/publication count) and cited as one of the leading researchers in this same area in the article 'Transnationalizing Entrepreneurship: A Critical Agenda for Economic Geography', author Yeung H.W.-C., Progress in Human Geography, 33(2), 2009, 210-235. His paper 'Does Confucian Dynamism Complement the OLI Framework? A Study of Chinese Private Firms', co-authored with J Ji, was awarded the Best Paper Award on Emerging Markets at the 36th European International Business Academy Conference, December 2010, Porto, Portugal. He has also won the Best Paper Award for the article entitled ‘Micromultinational or Not? The Effects of International Entrepreneurship, Networking and Learning’, co-authored with J E. Amoros, M S. Etchebarne and C. Felzensztein, in the 27th Conference on Business Administration and Economics (ENEFA), November 2011, Pucon, Chile. 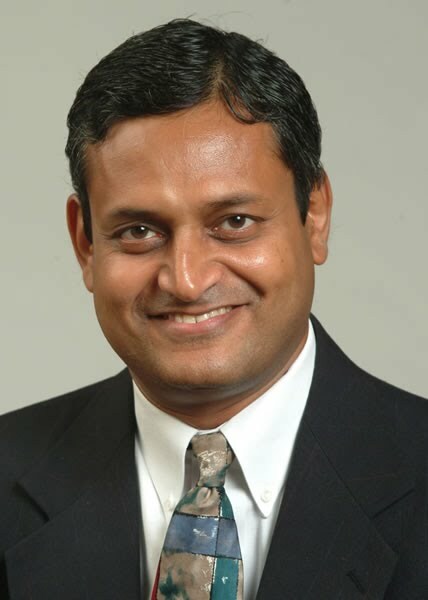 Venkatesh (Venky) Shankar Coleman Chair Professor of Marketing and Director of Research, Center for Retailing Studies, Mays Business School, Texas A&M University. His areas of specialization include digital business, marketing strategy, innovation, retailing, international marketing, and pricing. He has been recognized as one of the World’s Most Influential Scientific Minds by Thomson Reuters and as a Top 10 scholar worldwide on innovation. He is a winner of AMS Cutco/Vector Outstanding Marketing Educator Award for lifetime contributions to marketing, the Lifetime Achievement Award in Retailing from AMA, the Mahajan Award for Lifetime Contributions to Marketing Strategy from AMA, the Distinguished Alumnus Award from IIM, Calcutta, the Distinguished Alumnus Award from IIT, Kharagpur, the Clarke Award for the Outstanding Direct and Interactive Marketing Educator, the Long-term Impact Award for an IJRM article, the Green Award for the Best Article in JMR, the Lehmann Award for the best dissertation-based article in an AMA journal. He is Co-Editor of the Handbook of Marketing Strategy and author of Shopper Marketing. He has published in the JMR, Management Science, Marketing Science, JM, SMJ, HBR, SMR, JPPM, and JR. The Shankar-Spiegel Award is named in his honor. He is ex-President of the Marketing Strategy SIG, AMA and serves on the CMO council and B2B Leadership Board. He was also a two-term Academic Trustee of the MSI. 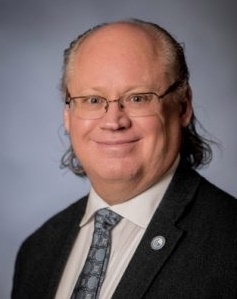 He is Editor-Emeritus of the Journal of Interactive Marketing (JIM), Associate Editor of JMR, Area Editor of JM, and ex-Associate Editor of Management Science. He serves on the policy boards of JR and JIM and on the editorial boards of Marketing Science and JAMS. He is a three-time winner of the Krowe Award for outstanding teaching. He has been a visiting faculty at Stanford University, MIT, INSEAD, Singapore Management University, SDA Bocconi, Chinese European International Business School, and the Indian School of Business. He was selected to deliver the Guruspeak lecture across India. 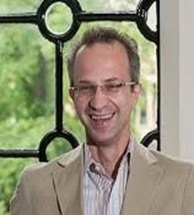 He is a Research Fellow of Northwestern University’s Retail Analytics Council. Venky has a Ph.D. in marketing from the Kellogg School, Northwestern University.